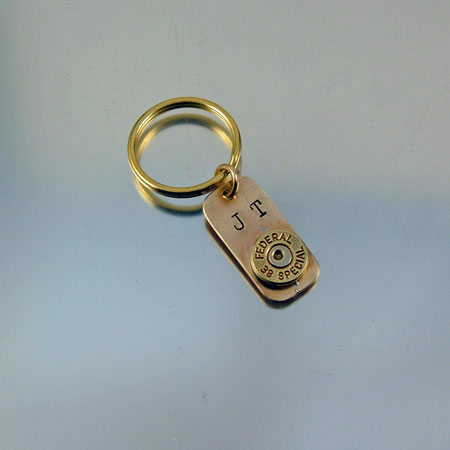 This bulelt Key ring is custom made for you when ordered. 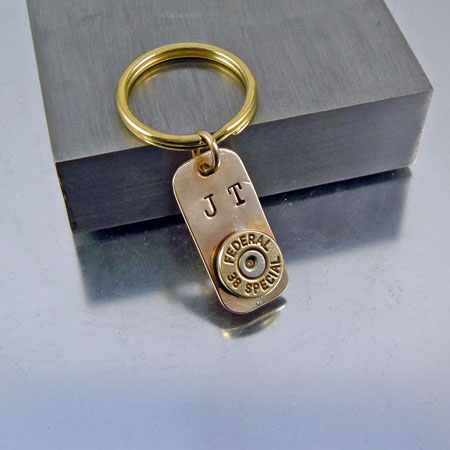 Two initials and a bullet head on solid brass. 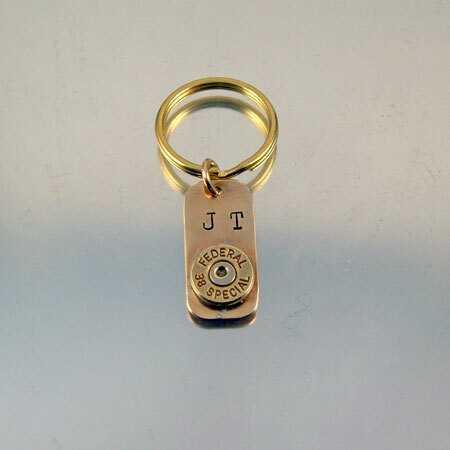 If you don't want it on a key ring you can wear it as a charm on a chain or leather cord. All images, ideas and concepts found on this web site and/or galleries are the intellectual property of the artist Julie Teeples, who created them and are protected by the fullest extent of copyright law.